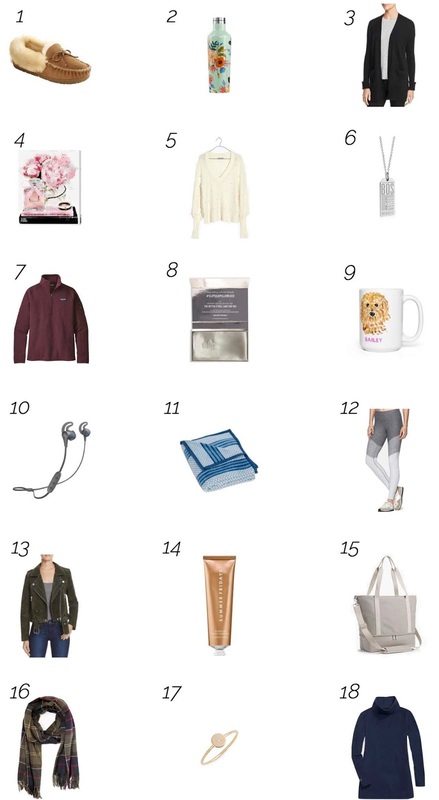 Between secret santa exchanges with friends and work yankee swaps, I've found myself looking for a lot of gifts under $25. I always struggle with this price point because I want to get something meaningful for the recipient rather than something they'll just end up re-gifting next season. That being said, it can be hard to find great gifts at a relatively low price point. I hope that you enjoy the options (including some for guys!) I've rounded up below, and that even if they aren't perfect for you, they at least provide a good jumping-off point for other gifts! In addition to the ones below, I feel like you can't go wrong with a cute succulent, a restaurant gift certificate, or homemade baked goods. 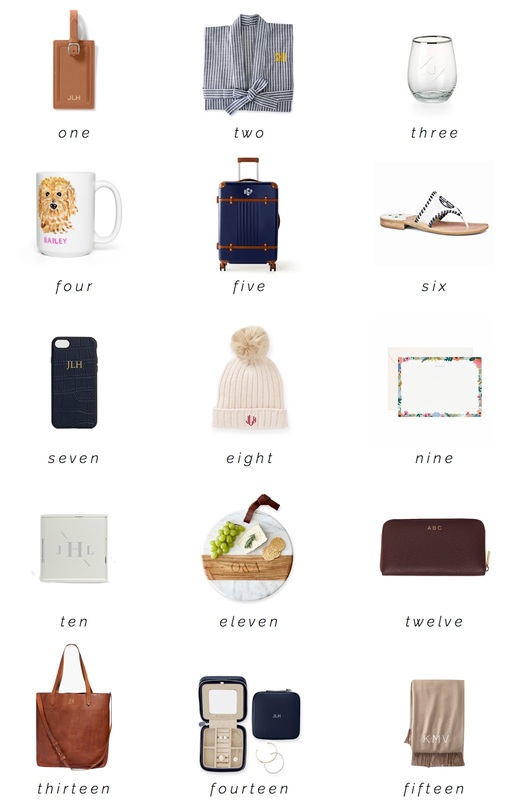 I feel like this could also be called a list of things I own and love/things I want. Honestly, it was tough to keep this to just 18 items, but I think I rounded up some great options at a variety of price points up to $200. Things I already have and love include: this go-anywhere weekender (30% off! ), these wireless headphones, this personalized dog mug (got it for my mom last year! ), truly the best sweater, this customizable luggage tag necklace, the coziest pompom sweater (up to 30% off! ), and the world's best slippers (25% off!). I know I'd love to receive any of the rest under the tree/hanukkah bush 😜. We stayed at Hotel Stein, the only non-Airbnb during our trip. The room itself was small, but really nice, with an amazing view out over the river and up to the castle. There was also a breakfast buffet (on the rooftop!) in the morning for an additional charge. As for the location, it was perfect. It's situated in the midst of a pedestrian-only street and right across the bridge from the majority of the Old Town. 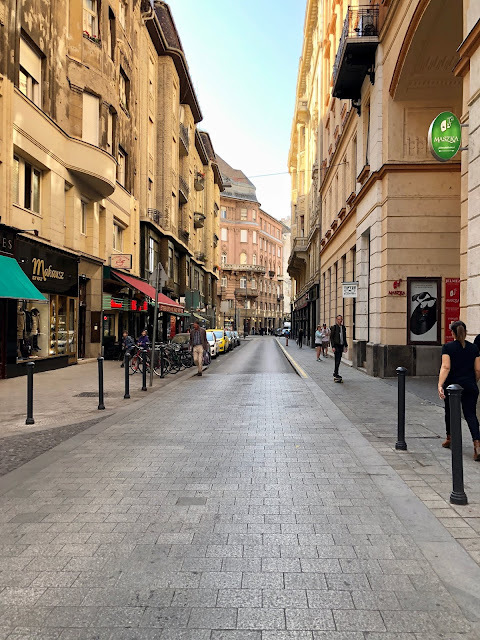 It was so nice to be able to head back to the hotel after a day of exploring and relax before dinner without feeling like we were trekking super far out of the way. Mirabell Palace/Gardens - We enjoyed wandering the grounds here and looking at all of the different flowers and landscaping. You'll also recognize the gardens from the "Do Re Mi" scene in The Sound of Music. Old Town - This is where pretty much all of the touristy things are. Super cute small streets with a mix of boutique shops and larger international stores. 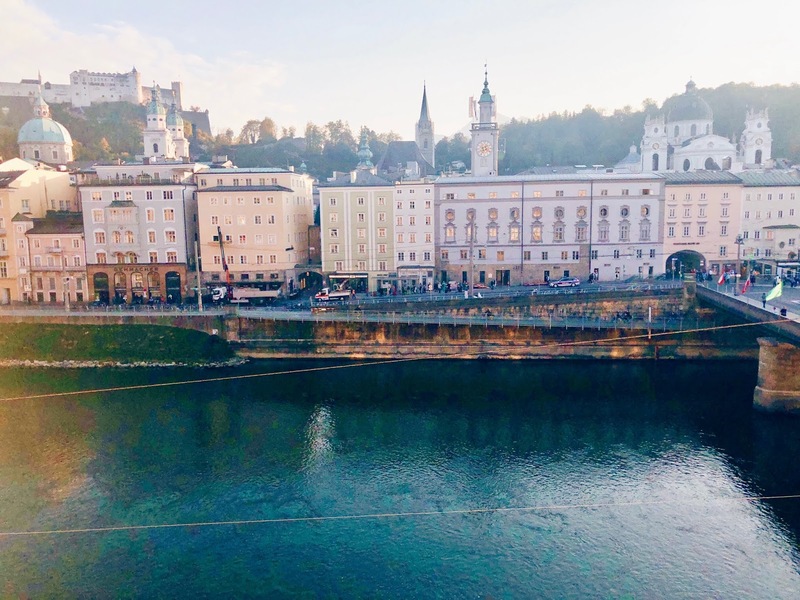 Not to miss are Mozart's birthplace, (we just walked by it) on the main shopping street, Getreidegasse, Chapter Square, and Salzburg Cathedral. There's also the two main squares: Residenzplatz and Mozartplatz. While we were there, Mozartplatz had a small farmer's market going on with all sorts of pastries and produce for sale. As usual, I enjoyed wandering all the small winding side streets the most. 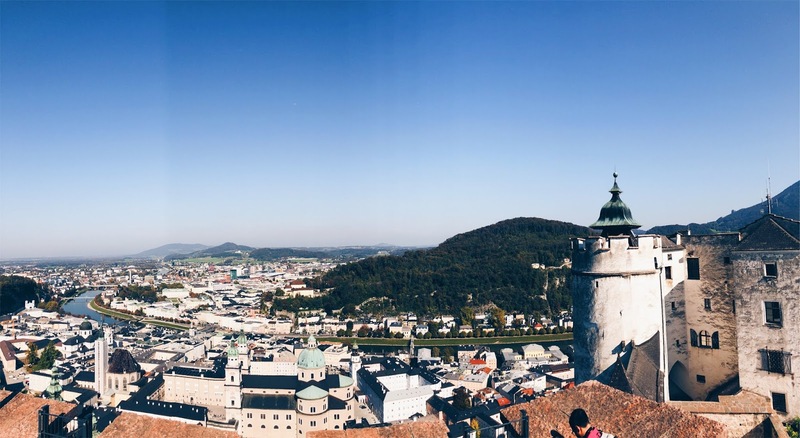 Hohensalzburg Fortress - Otherwise known as the castle on the hill (@Ed Sheeran). If you choose not to take the funicular up (this way saves you a few dollars) you can enjoy (?) a super steep trek up to the top of the mountain. Once at the top, we bought tickets to see the fortress and walked around the grounds before starting an audio tour. One weird thing to note is that the audio tour is still done in groups, so you go from room to room with your group, but you're all listening to your own headsets. The tour was about 20 minutes, so not too long to get boring. Plus, it ended on the roof where you got an incredible view over the city. There's also two lunch spots on the grounds; the nicer one overlooks the backside of the fortress out onto the countryside. The food was nothing special but the view made up for it. Die Weisse - We went here our first night, looking for an authentic beer garden experience, and that's what we got! It's a little outside the main touristy area, but they had a small outdoor seating area and cozy indoor seating. 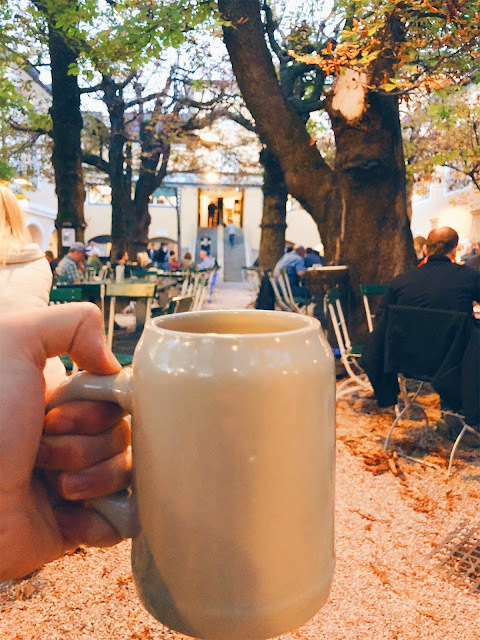 Expect classic Austrian food (read: sausages, wiener schnitzel, potatoes) and lots of different beers. But! They do have gluten free beer, and I didn't totally hate it, so that's really a ringing endorsement because I usually hate any and all beer. Darwin's - We went here after Die Weisse for some cocktails. They have a great assortment in a small and cute atmosphere but it's not cheap. So, needless to say, we only stayed for one drink. Augustiner Brau - If you want a beer garden experience that's a little more lively than Die Weisse, this is the place. They make one beer and one beer only, so if you want something else you're out of luck. (Or sneak your own alcohol in and mix it with a lemonade bought from the brewery 🙊.) The outdoor seating area is huge and it was crowded the whole time we were there, which was not even on a weekend night. There's also a bunch of small stands indoors with different food options (pretty much all varieties of Austrian cuisine). Gasthaus Zwettler's - Okay, if you're going to eat Austrian food, go here. The atmosphere is so cute and feels very Bavarian. And I actually enjoyed my dish with potatoes, fried egg, and sausage, so that was a plus. Also! They have the most insane giant meringue dessert thats gluten and dairy free. You have to try it. 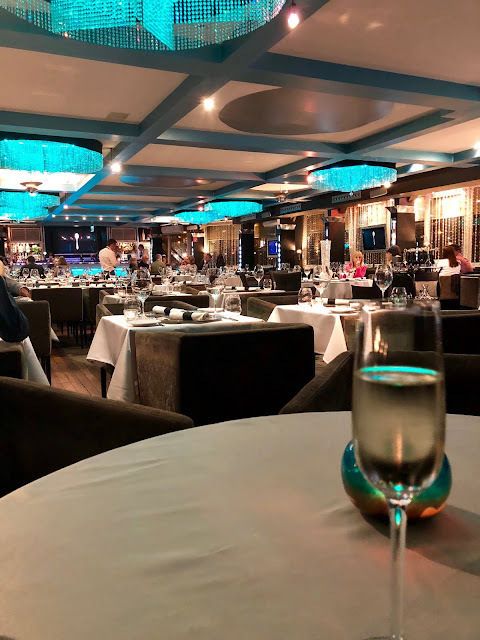 The service was super quick and the prices were affordable as well. Taj Mahal - This would be the Indian restaurant I begged to go to on our last night in Salzburg. Honestly, for being in the middle of Austria, this was high qual Indian food. There are too many good sales right now to not make a post. In my opinion the best ones are at Bloomingdale's and Tuckernuck. Between the two there are a lot of deals to be had for under $50. I'm trying to resist buying anything because I don't neeeeed anything (famous last words), but if you're in the market for anything now is a good time to buy! I tried to stick with items under $50 but if you're looking to splurge a bit, I'm in love with this wear-anywhere shirtdress and you can never go wrong with a classic leather tote. Also these leather espadrilles are only $38. I know. Click on the images below to see product information. If you live in Boston, you know that about 70% of apartments have a September 1 lease date. If you don't live in Boston, please stay as far away as possible on and around September 1 unless you enjoy being stuck in traffic on Storrow Drive because people forgot that their UHauls won't fit under the bridges. Seeing as many people will be moving soon, I figured it was appropriate timing for a post about how I decorated my room. I've always thought that - if I were more artistically gifted - I'd love to be an interior designer. So, decorating my room was something I invested a lot of time into, because I’m someone who finds scrolling through 50 pages of headboards fun. I soon realized, however, just how expensive furniture is. Seeing as I was fresh out of college last year and hadn't started my job yet, I took it upon myself to decorate with affordable finds. It wasn't easy, and definitely took a ton of time, but I'm so happy with the little oasis I've created for myself, soooo 100% worth it. I'm hoping that this post can help some of you save the time and money spent on decorating. Where to start? Besides knowing the dimensions of your room (super helpful! ), I like to start big and work my way in. Many of you may not be as neurotic as me, but I knew I had a general vision of what I wanted (read: all white everything), so I turned to Pinterest to fine tune it. I made a board of different rooms I liked so I could get a feel for how I wanted mine to look and how different pieces would fit together. Then, it was time to start looking. Wanting to stay on as much of a budget as possible, I tried to keep each piece under $200. I know that sounds high, but even items at Ikea are over $200. Throughout my search, I perused a ton of sites, not wanting to miss out on anything. (You could say I have a “grass is greener” mentality when it comes to shopping.) I had the most success, however, at Overstock, PBteen, World Market, and Jet. To begin my search, I started out with the focal point of my room, the bed. I knew I wanted a mostly white comforter, but still something that had some accents or detail, especially tassels and/or pom-poms. Whenever I looked on various sites, I always filtered by color and price. I also shamelessly googled “white tassel comforter” and “white pompom duvet.” You never know! I ended up purchasing my comforter (currently on sale!!) from PBteen of all places. They frequently have sales, so keep an eye out. Another one of my favorites for all white bedding is The White Company. I had one of their duvets in college and loved it. Since my bedding is white with grey accents, I knew I wanted to play on that grey with my headboard. 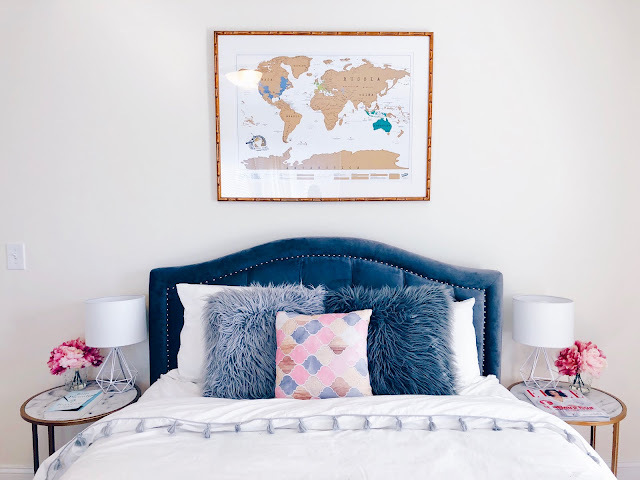 I found the best affordable headboards at both Wayfair and Overstock, and ultimately purchased mine from Overstock (currently on sale!) 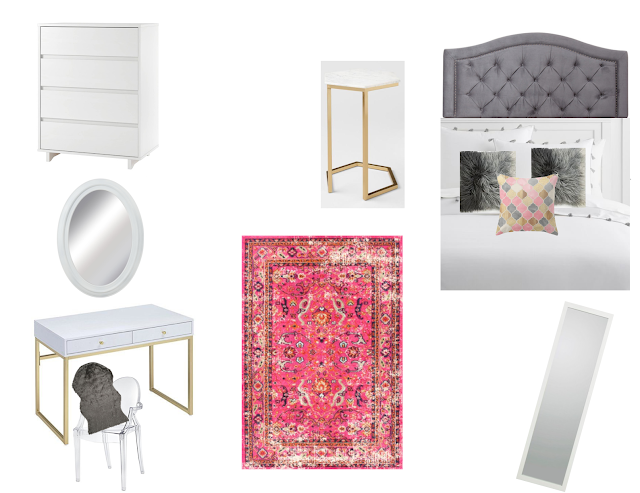 Both sites have great filters - I knew I wanted a grey fabric headboard that was tufted, so being able to narrow my search down to only those headboards was super helpful. Once I had my bedding and headboard, I literally took their product images from their websites and created my own Pages document with the bedding and headboard together. From there, when looking for other furniture, I would drag the images into my document so I could see what everything would look like together. (Do you think I’m crazy yet??) This was super helpful when it came to playing with gold in my room. For some reason, I was obsessed with having gold accented marble tables as my nightstands. Just a tad specific…but I love them! I saw a few on Wayfair and Overstock, but ultimately chose ones from World Market (similar here). (And one fell off the truck on the way to Boston so, sorry to I-90, but you're welcome, World Market, for me buying three nightstands.) Having this document helped me to see if adding in my gold legged desk was too much. Answer: nope. Finding said gold legged desk was not easy. PBteen had a few but they were super expensive so those were out of the question. I did check craigslist and local FB tag sale pages to see if anyone was selling one, but I didn’t find anything great. Again, my google searching came in handy! I found my desk through some random brand via Google image search, but it ended up being stocked through Amazon, so ordering was a breeze. I’d say my biggest risk with the room was my hot pink rug. I had seen rugs like mine all over Pinterest, but I still wasn’t sold. I couldn’t tell if it would be overwhelming in my room or a nice way to add some color. As many of you probably know, rugs aren’t cheap, so I wanted to make sure I liked it. Once again, having my document I could play around in helped me to make my decision. Since I was on the fence, I went with the most affordable option I could find, and ended up ordering mine from Jet. For being so cheap, it’s held up really well and looks great in person. With so many showy pieces (i.e. tufted headboard, gold desk, gold Framebridge map print, hot pink rug), I decided to neutralize the room a bit by adding in a ghost chair and a plain dresser. Ghost chairs are another item that are crazy expensive, so I bought mine from Walmart and I have no complaints so far. I added a little bit of texture back in with a fur chair cover from Safavieh. (They also have some at Bed Bath & Beyond.) For my dresser, I went with a simple white one from Target that was not-so-simple to assemble. Lastly, I bought this enormous mirror from Ikea a few months ago and I love how it adds another little dimension to the room. You may think I’m insane, but I’m a super visual person, so having my document where I could play around with pieces and see how they worked together made the whole process so much easier. Rather than ordering things and having to return them if they didn’t work with my room, I already knew everything would be cohesive. It was also helpful when it came to figuring out accessories, such as artwork and throw pillows. Speaking of artwork, to keep the costs down, I reused the framed sayings I had in college. To make those, I downloaded the prints on Etsy for about $2 each, printed them on nice paper at Staples, and bought 6 white frames from Michaels. I then spray painted three of them gold. Although the spray paint didn’t turn out as great as I’d hoped (probably because I didn’t use any type of primer), I love having my own little DIY project donning my walls. For my dog print, which I picked up in Nashville, I bought a simple gold frame off of Amazon. Other accessories, like fake plants and candles, I picked up at my local Homegoods for relatively cheap. 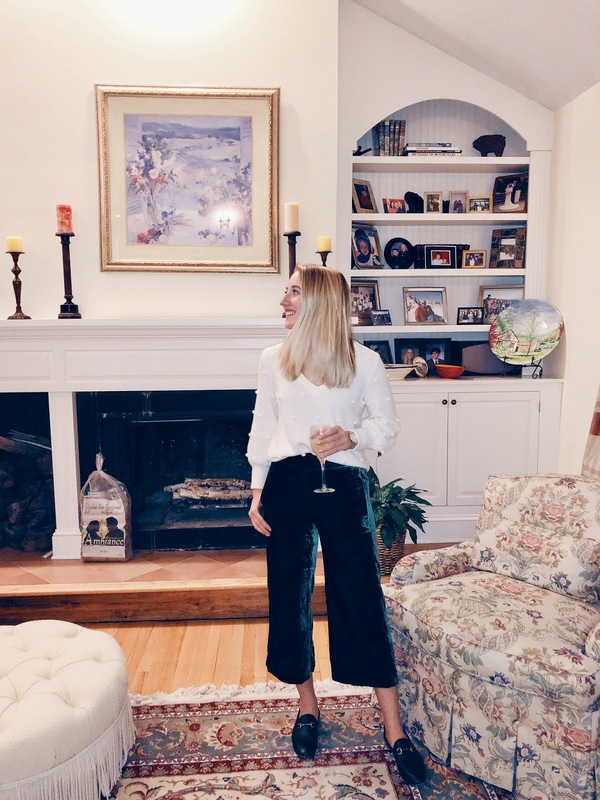 My room was definitely not decorated in a day, and I still finding myself picking up little decor items here and there, but I absolutely love how it turned out and I hope this post helps you decorate your dream room on a budget! I'm not sure why it's taken so long for Club Monaco to get on my radar, but after spending some time in the store this past weekend at the Greenwich sidewalk sale, you could say it's now one of my favorites...especially when there are discounts to be had. The normal prices are higher than I'd like to spend on most items, but that being said you can definitely tell they're high quality pieces that will last you many seasons. Plus, a lot of the designs are pretty timeless, so it's not like you're paying $200 for a trendy dress that will only be in style for a few months. Regardless, with an extra 40% off sale items, now is the time to shop! I'm only slightly salty, though, because when I was in this past weekend they were only offering an extra 30% off. Win some, lose most, you know? On the bright side, I picked up this wear-with-anything white top, this fun take on a button down, and these incredible striped culottes. Buuuutt, now with the 40% off I'm thinking I may need to order this LBD. My mom got it for herself and I've been eyeing it ever since. One thing to note is that it seems they are restocking relatively often (and selling out relatively often!) so if you don't see your size, definitely keep checking back. 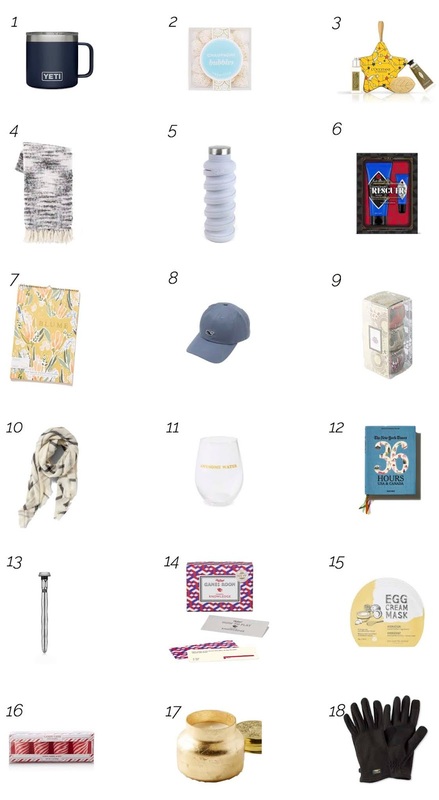 Below I've rounded up some of my favorite items from the sale. Enjoy! On the odd chance that you don't follow any bloggers on social media, allow me to introduce to you to Nordstrom's anniversary sale. Every year they offer some really great discounts on both summer and fall apparel, shoes, and accessories. People go somewhat insane over the sale because it's pretty abnormal to see a retailer offer discounts on items before the season even starts. Usually we have to wait until December to see discounts on fall items. That being said, even though it's 90 degrees out and you probably can't fathom donning a sweater, this is a great time to stock up on some items for the coming seasons. Up until July 20th, the sale is for cardmembers only. If you're a plebeian like myself, you'll have to wait a week to shop. But, there's no harm in taking a peek now and shortlisting the items you want once the sale opens to the public. 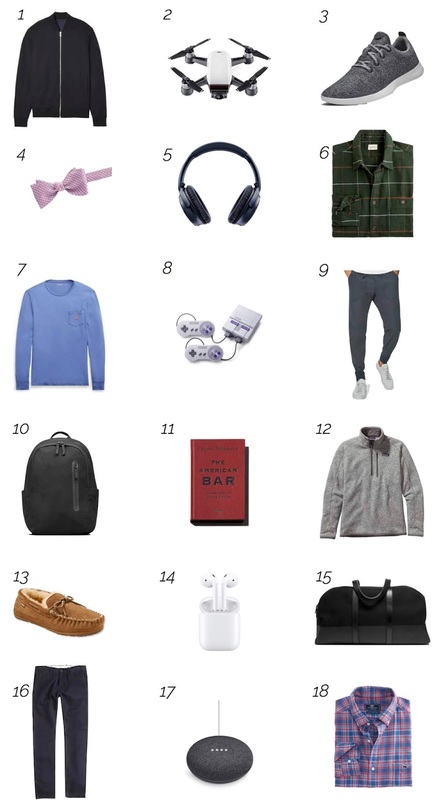 Below I've rounded up some of my favorite clothing items; click on the image to be taken to product detail page. I'm really loving this floral dress, this suede moto jacket, this striped jumpsuit, and these tie-waist pants. Hello! It's been a minute since I've posted. Buutttt, here I am with some too-good-to-resist July 4th sales. 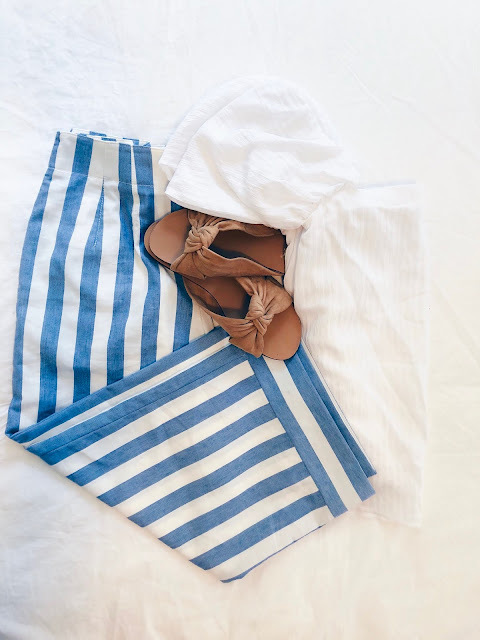 I'm not really one to buy an outfit solely for the 4th, but there's plenty of deals on items that you can wear all summer long. This is the perfect time to pick up my favorite weekender bag, this adorable apron top, my go-to white sneaks (60% off!! ), or splurge-worthy bedding. Check out all the sales below! Bloomingdale's // 30-50% off select items; take an extra 20/30/40% off items labeled "Deal Reveal"
Are there any of your favorite stores that I'm missing? Shopbop sales don't happen that often, but when they do they're big. Pretty much all items are currently on sale up to 25% off. Spend $200+ and get 15% off, $500+ and get 20% off, $800+ and get 25% off all with code GOBIG18. I know the percentages don't seem huge, but these are items that rarely go on sale so you gotta take what you can get. 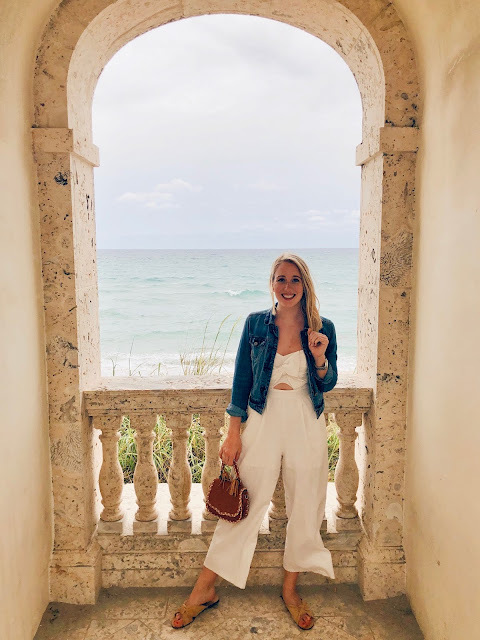 My approach with these sales is to focus on investment-worthy pieces that are almost always full-price because you can usually find more affordable brands like Free People at deeper discounts elsewhere (like Macy's and Lord and Taylor!) Although I could easily make a cart worth over $800, I know it's not the financially sound thing to do 😭. But, if you've had your eye on an investment piece for a while, like Stuart Weitzman boots or a 3.1 Philip Lim satchel, now is a worthwhile time to pull the trigger as it's hard to find items like those on sale. 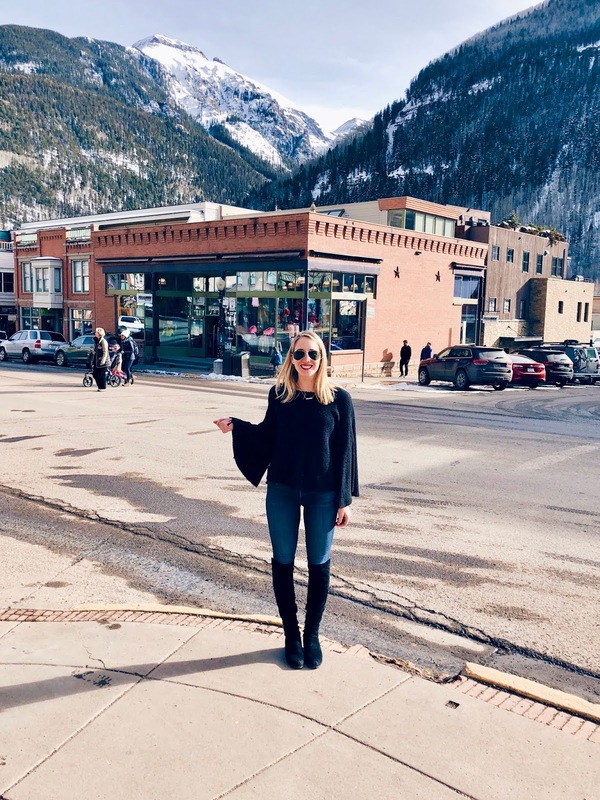 I've rounded up some of my favorite picks by item type below, with a focus on (relatively) more expensive pieces, but I threw in some steals as well in case you need to add an item to bump you up to the next discount level 😉.